What Is the History of Emotions? offers an accessible path through the thicket of approaches, debates, and past and current trends in the history of emotions. Although historians have always talked about how people felt in the past, it is only in the last two decades that they have found systematic and well-grounded ways to treat the topic. Rosenwein and Cristiani begin with the science of emotion, explaining what contemporary psychologists and neuropsychologists think emotions are. They continue with the major early, foundational approaches to the history of emotions, and they treat in depth new work that emphasizes the role of the body and its gestures. Along the way, they discuss how ideas about emotions and their history have been incorporated into modern literature and technology, from children's books to videogames. Students, teachers, and anyone else interested in emotions and how to think about them historically will find this book to be an indispensable and fascinating guide not only to the past but to what may lie ahead. "It is hard to imagine a better introduction to this timely and important topic. Written by two scholars who know the terrain first-hand, this account will guide you through the debates and point you in the right direction for your own future studies." 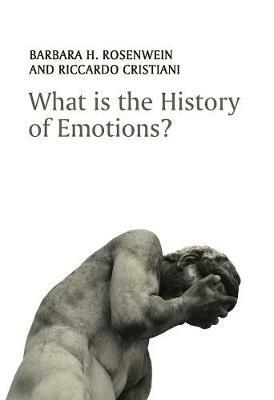 "The book you hold in your hands is a crisp, accessible, and contemporary guide to the history of emotions. Rosenwein and Cristiani's practical approach will help students apply the theory of emotions to primary sources, making the book invaluable for beginners."